My life's goal is to read all the Newbery Medal Winners and Newbery Honor books, but sometimes my writing gets in the way. Rough winters make for good reading! Try to include the 2015 Newbery Winner, The Crossover by Kwame Alexander or one of the Honor Books: El Deafo by Cece Bell and Brown Girl Dreaming by Jacqueline Woodson. If you don't know what a Wooly Bugger is, read my first self-published E-book on Amazon.com, Ryan's Unkeepable Catch. It's middle grade fiction for kids 9-12 with a bunch of truths about a boy hooked on fly fishing. And check out a new Laudable Link entitled Creative Writing Institute with CEO Deborah Owen. 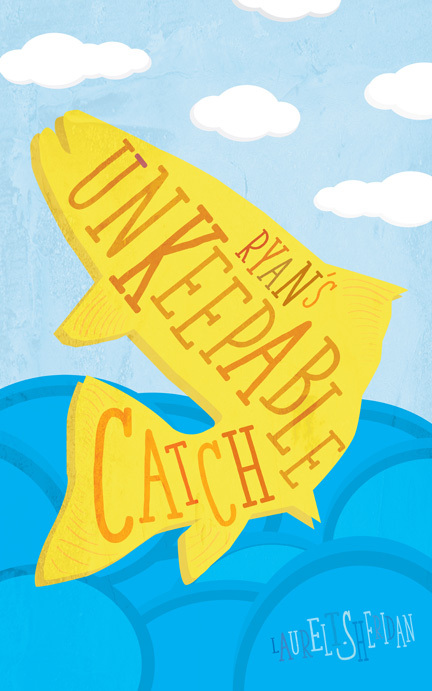 Almost ready to publish Ryan's Unkeepable Catch on Kindle Kids for 9-12 year olds. Cynthia Lord's Newbery Honor Book "Rules" is outstanding. It brings to life the feelings of Catherine when relating to her autistic brother, David. What great writing! In reverse, Gennifer Choldenko's acclaimed "Al Capone Does My Shirts" portrays a brother with a special needs sister. Books that help siblings cope deserve all the awards they can get.